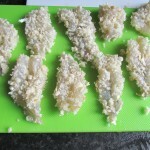 I think I must’ve got the ‘love making food’ gene from my Mum. Since I am the only child and living far away from my parents, I try to call them as often as I can. 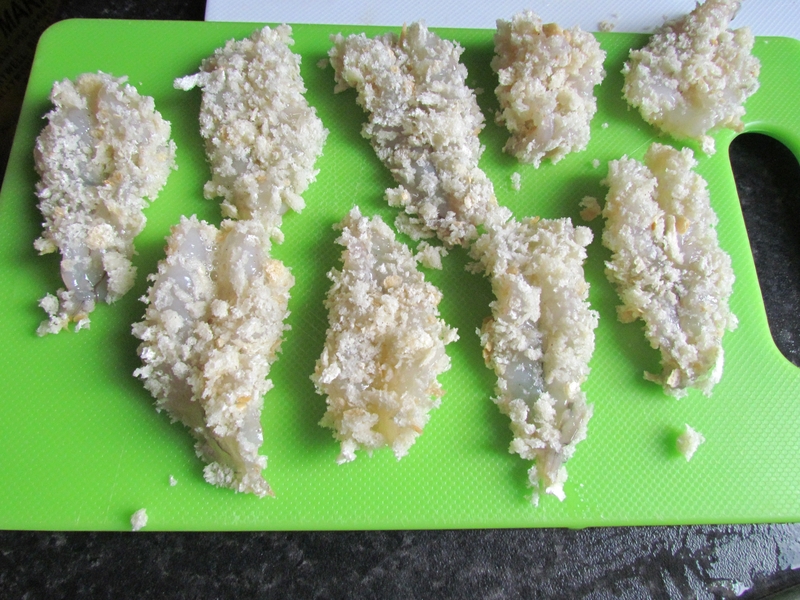 You can often hear our conversation starting with ‘I worked out this new recipe recently…’ Unfortunately we can’t go home to my parents for the Chinese New Year this year, so I decided to make some of Mummy’s dishes to make the festival have a Mummy taste. 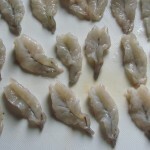 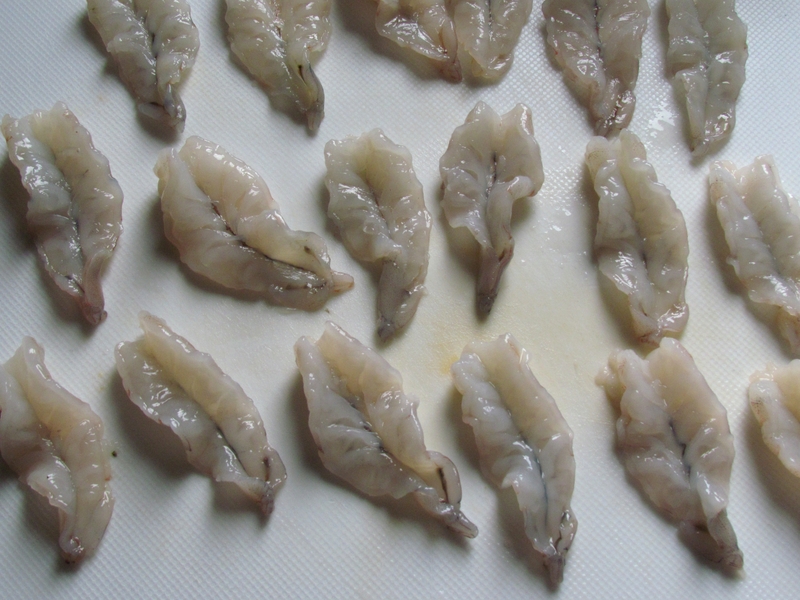 Cut the king prawns open from the back all the way to the tail, make sure to not cut it through. 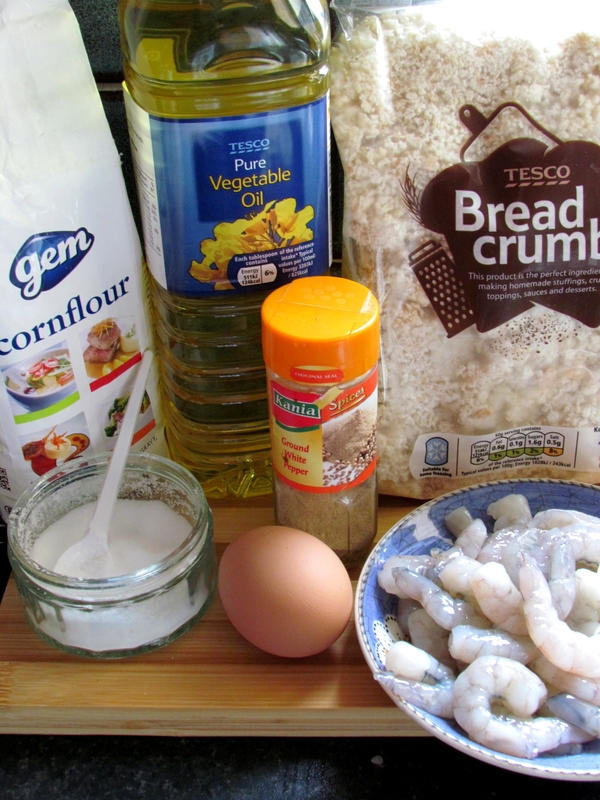 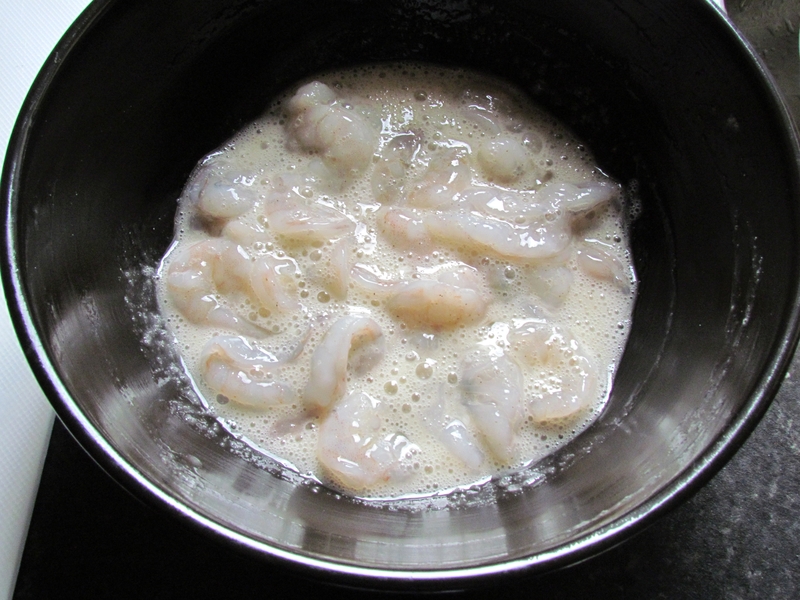 Place the prawns in a bowl, add cornflour, egg white, a pinch of salt and a pinch of ground white pepper, mix well. 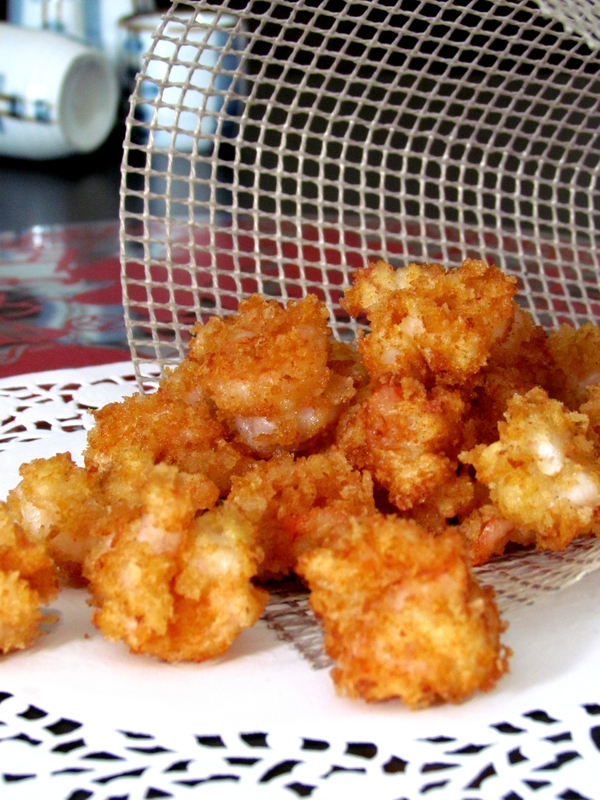 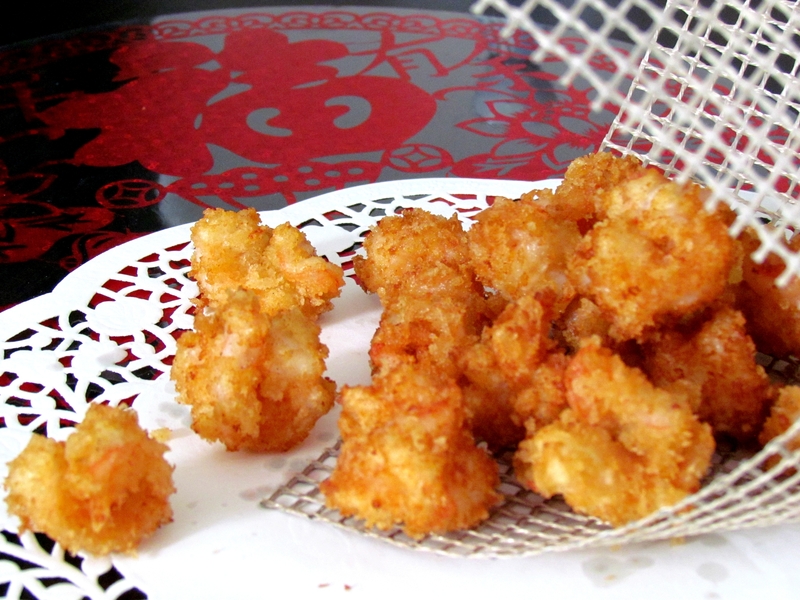 Roll the prawns in the bread crumbs, make sure the prawns are covered with bread crumbs evenly. 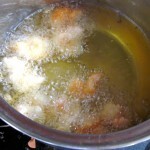 Heap up a pot one quarter filled with cooking oil over strong heat. 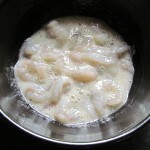 Heat up to 180°C, put the prawns in one by one to deep fry. 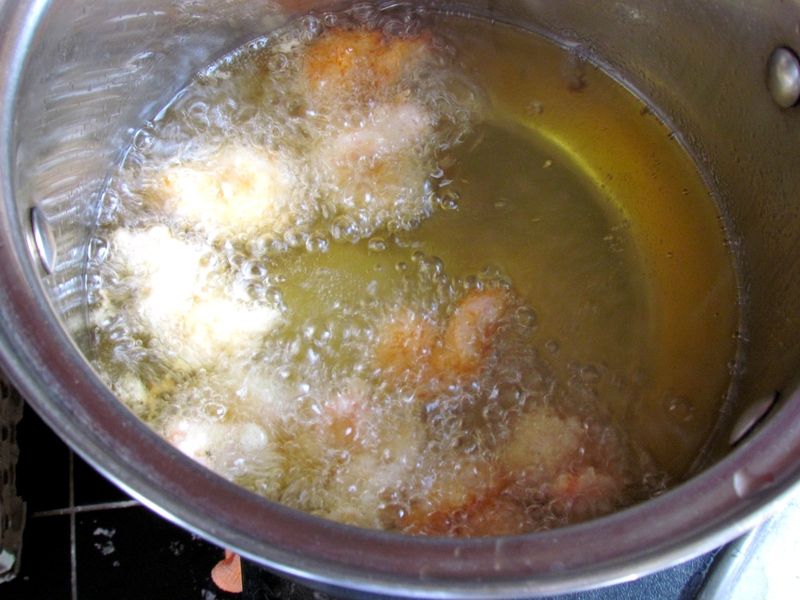 When they have turned golden brown in colour, take out and place on kitchen paper to drain the oil.